If it's the beginning of the school year, I must be talking about mental models! In reading, a mental model is a reader's representation of the text. It's no exaggeration to say that everything I do in reading for the rest of the school year will depend on whether or not students can build rich, elaborate mental models based on the details from the text. If I can teach students how to access and talk about their mental models, then I can quickly figure out where comprehension is breaking down. These lessons need to start early! I started with this because it is so simple. I asked, "What are you seeing in your mind? Why?" It is really amazing that just a few marks on the page can make everyone picture the same thing! Except--our cats weren't really the same. Without information about what the cat looks like, everyone was picturing a slightly different cat. This is what readers do all the time. I showed this sentence, but did not read it aloud. I wanted students to do this step. Then we talked about how our mental models changed. The giant cat sat on the bed. When kids start to laugh at this sentence, I know that they are making mental models! Students liked talking about how their mental models updated to reflect this new information. The giant cat sat on Mrs. Kissner's bed. Now more kids laughed, and interestingly enough most of them looked at me as soon as they finished reading the sentence. This is a totally natural reaction. To show them how they can use their mental models to build an inference, I asked, "How do you think I would feel about this?" They shared different emotions--scared, mad, unhappy--all of which could be supported. They don't know me very well yet so they don't know that a giant cat on my bed would probably make me feel curious, intrigued, and appreciative. The next step was to have students work with partners to figure out some clues that an alien left. At the start of the year I always have trouble foreseeing how students will do with various activities, and this one was no exception. Students talked and shared as they worked, and some were truly puzzled by the clues. This was all good information for me! After all, when we read longer texts they will need to build even richer, more detailed mental models...the more I know about their processes, the more I can offer the right support. If your students would like to know more about Zomack, he is in the story "Boring, Boring, Boring" included in the Visualizing PowerPoint and Activities pack. If you have already downloaded it, do check out the new version with updated formatting and more activities. Taking the time to develop the importance of a changing mental model is vital. As transitional readers move from stories with picture support to stories without picture support, they need to work much harder to build mental models and visualize concepts from the text. Taking the time to set this up from the start is important for later success. Another school year has begun! At the start of the year I am always eager to find out as much about my new readers as I can. I know that I need to hit the ground running if I want to move my readers and help them grow. At the same time, I don't want to burden kids with too many assessments. My goal is to keep things light and fun. This is as easy as it gets. Read aloud an an interesting text with very few pictures. Watch how kids react. It's that simple! Well--not really. The book selection is the key part. With one group of readers I'm reading aloud Tollins: Explosive Tales for Children. If you have never met the Tollins, this book is well worth it. It has a very dry, British feel to the humor and is wonderful for helping me gauge the reactions of my readers. Which kids are laughing? Which are staring at the wall? Which readers look shocked at the treatment of fairies? "What was the last book that you read that you liked?" I ask this question as I am trying to match books to readers in the first few days of reading class. Sometimes kids speak confidently about books and series. Sometimes they will describe a book that will help me to choose the next book to give them. And sometimes they will look at the floor and mumble a bit. Each of these is an important thing for me to know about a reader! By watching how readers interact with books, I can get a good sense in the first few days of which readers will need more targeted help. Fourth graders are good at using picture clues. So good, in fact, that I really need to pull away picture clues early on to see what they can do with simple text. A visualizing assessment is a wonderful tool for this. I tell readers: "I really want to know what is going on in your head as you read. Because I can't see inside, I'd like to you to do your best to draw a picture of what you visualize as you read. It doesn't have to be perfect, and I'm not looking at your artwork, so feel free to add labels if you want to." Another visualizing assessment in my book The Forest and the Trees: Helping Readers Identify Details in Texts and Tests. I've found that it's helpful to have several different versions to use throughout the year. I learn so much about readers when I administer the QRI (Qualitative Reading Inventory). In the first few frantic days of school, I don't really have time to sit down and give a QRI my full attention. But I can give the first part of the assessment--the word reading part! This gives me some very early information that I can use to help students with book selection, and helps me to pull the right selections to use with students. I never do the QRI with all students. However, it's very helpful for students who seem to be struggling or seem to reading well above grade level. I love to sit down and really listen to these students read. These quick assessments help me to find out some basic information about the readers in my room, early in the school year. They help to get me through the first few weeks of slow going as we look at routines and procedures. These assessments are a nice balance to my other main job of the first few weeks--getting books to readers! What assessments do you like to use early in the school year? If you follow my Twitter feed, you'll probably notice lots of pictures of flowers, many with #phenology. I'm incredibly lucky to live in a place where two gorgeous state parks are within a 20-minute drive--and one of those state parks is on the way to a larger town where we do a lot of our shopping. So I get to walk a great deal on the same paths and see the same places day after day, week after week. And yet they're not the same places. Even within one season a location can change a great deal. Year to year, I can see the same patterns unfold in different ways. This is the joy of phenology! Cardinal flowers that were in one location are a few feet away the next year. Mushrooms sprout after a wet August but remain hidden in a dry one. Garlic mustard invades a few more feet each year. A new stream erosion prevention barrier has been built--does it work? I could walk these paths a thousand times and still see new things. When school begins, I take this same sense of phenology back to the classroom. Each week with a new class is like rediscovering an old trail in new seasons. 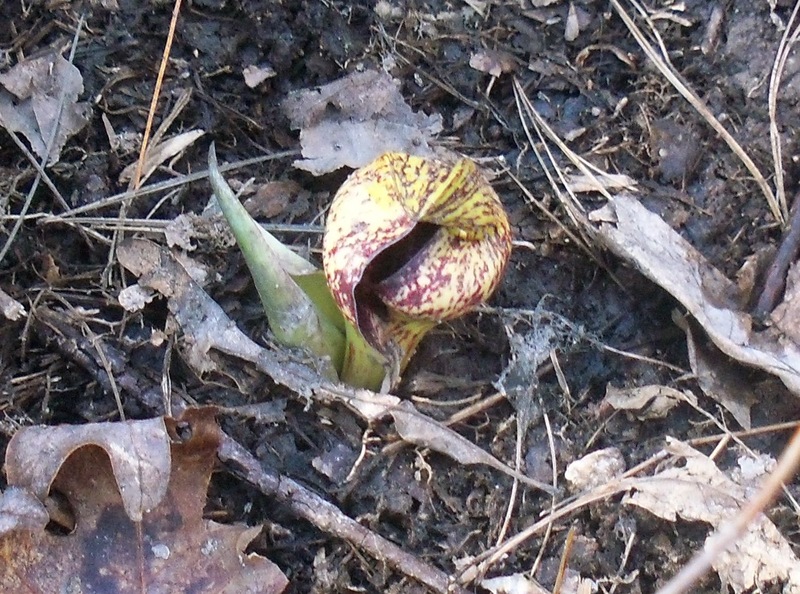 Just as I know to look for blooming skunk cabbage as an early sign of spring, I also know to look for very early signs of class cohesiveness. In the first week someone will have an idea that goes beyond my imagination--an idea that takes the class in a new direction. This is as miraculous as that first spring flower. well in May just don't work at the beginning of the year. In the later weeks, I see the same kinds of patterns unfold. Sharing becomes a treasured routine in the classroom, but each group of students shares in a different way. Each class has certain favorite classroom spots, favored clean-up songs, favored ways of tweaking our classroom routines. Seeing these patterns emerge is as delightful as watching spring come to a forest. Not quite as restful, though--because in the classroom I am always a participant, not an observer! Walking the paths near my house helped me to see how the seasons naturally unfold. 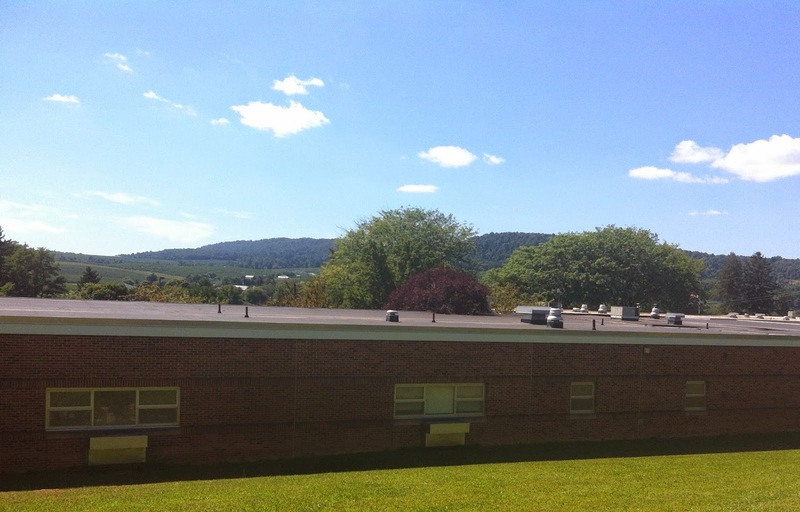 As you begin your school year, I invite you to try out the lens of phenology. How does your classroom ecosystem develop? What differences do you see as similar patterns build? If you see a negative event happen--the same kind of thing that happens every year--how can you intervene to change it? ...and not just any books. I live in an area with few bookstores, so my book purchases tend to focus on the ones that kids can't pick up at a big box store. I'm also trying to enlarge my graphic novel collection. So here are the books that I've bought in the last two weeks, or am planning to buy! I read a local library copy of this last year, so I was thrilled to find a copy of it in a comics bookstore at the beach. I just love to buy books in the real world, and a comics bookstore that has a selection of children's graphic novels is about the best thing ever. I think that this book will take the title of the First Read-Aloud of the Year. Projected on the whiteboard, it will be the perfect tool for showing students how to interact with a graphic novel. Plus the short story format will be perfect for short reading sessions throughout the day...I think I'll call on kids to choose which story to read next from the Table of Contents. I discovered these at a local store called Ollie's. Of course after my husband and I went out to dinner for our anniversary I wanted to go and browse for books. Now Ollie's may not look like a place to discover books (it is a store of overstocks), but they have a surprisingly nice selection. 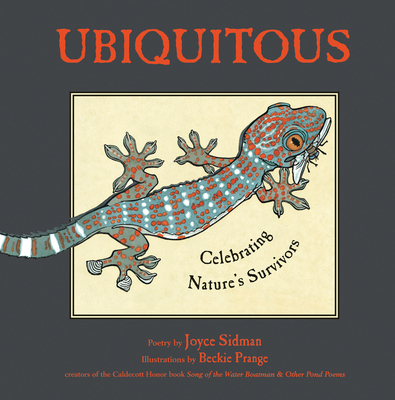 These books include beautiful poems alongside illustrations and informational text. They will be perfect additions to my poetry collections. I think that I'll make a poster of "Night-Spider's Advice" from Dark Emperor because the poem is such a neat example of how a reader can extract double meanings from a poem. 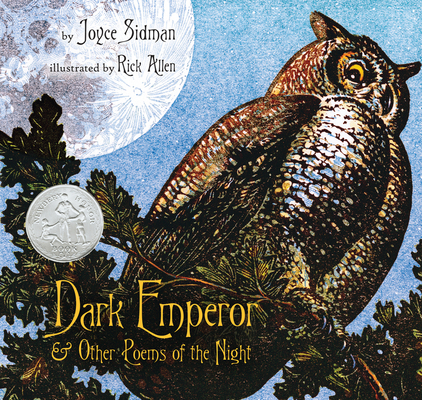 But I also plan to read the poems aloud in the first weeks of school...again, letting kids choose which poems to hear. Last year we bought the Amulet series for my youngest son for his birthday. As you may remember, he went through a period as an acquisitional reader, when he just wanted to collect books but didn't really read them. Well, luckily the Bad Kitty series changed that, and he started to take off as a reader. I found Amulet as a next step for him. "I'll see you on August 26," one of the most devoted Amulet fans said last year. "We'll be in school then, right? I'll come to your classroom so I can borrow the new book." Hmm, I think I'd better get two copies of this one. 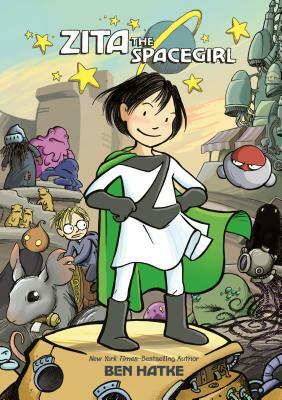 Like Amulet, Zita the Spacegirl has found a wide audience. I had it all year round and it was in pretty much constant demand. It has appeal for both girls and boys, which I really like. For some reason I didn't order the second and third in the series last year. Over the summer I ordered the third (by mistake, instead of the second!) and took it on vacation. I thought that my youngest son had already read the first--but he hadn't! He went on and read the third, but hasn't really forgiven me for the mistake. Oh well. In the long run, these books will be much better purchases than any kind of fancy border or cool organizational tool. What books are on your list for the start of the year? I've always had mixed feelings about homework, but over the last few years I've gotten into a workable groove. In fact, reading homework has solved some thorny problems in my classroom. For several years, I didn't give any reading homework at all. But parents actually asked me for something more. "I can say to go and read as much as I like, but when you give homework, he takes it seriously," a parent told me. I heard the same kinds of comments over the next few years--that many students liked a homework routine, and enjoyed doing something that connected home and school. As my own children started school, I started to see value in a meaningful, well-planned homework routine. As I created the homework assignments, these were my guiding questions. Does the homework provide some element of choice? Is there flexibility for varied schedules? I strongly believe that fourth graders shouldn't have more than 1 hour of homework per night (if that). I structure the reading assignment so that kids can do it over several nights. I find a Monday-Monday routine to be very family-friendly. Can students do the assignment with a minimum of support? Several years ago I received an email from a parent of a student several states away. This child had homework that was so taxing that the parent was emailing an unknown teacher (me) for help! I certainly don't want to put anyone in this situation, so I try to make the assignments straightforward. While individual questions may be difficult for students, I make it clear that it's no big deal--just do your best! Of course I never grade homework. Can I provide effective support for students in the classroom? While many of the parents of students are wonderfully supportive, there are some students who get little home support. If this homework is worth doing, then I need to make sure that everyone does it--even those students who don't get homework done at home. I use arrival time, dismissal time, and other odd moments in the day to help students who have trouble completing assignments. Sometimes it's as simple as asking a sixth grade tutor to come and help a student each afternoon. For other students, I make sure that I listen in and offer support. When an extra adult has time to volunteer in the classroom, helping students with the weekly packet is a perfect activity. It requires very little explanation from me and the kids are thrilled to get some more individual attention. Often, working on reading homework is offered as a choice during quiet moments or when other activities are finished. Some students take advantage of this and choose to work on the homework with other students in the room, turning it into a social reading activity--which is great! I do have some students who like to do the work at home--"My mom does it with at night" or "I think my dad will like this text, so I'm going to read it to him." Is this homework part of classroom instruction? I think every teacher has assigned homework that then gets put aside, never to see the light of day. But this should be a rare occurrence! I've decided to dedicate Mondays to working with the homework texts, both in discussing last week's work and introducing a new passage. This is a big time commitment, but I feel that it is worthwhile. Remember how I said that the homework solves a problem? In my case, the problem is the expository/narrative/drama/poetry problem. We might be studying narratives for two months, but I still want students to be exposed to other kinds of text. With the weekly passages, we can take little side trips to other kinds of text even while in the middle of a bigger unit. Kids especially enjoy the procedural passages...the "Fairy Bread" passage was listed as one of the highlights that students remembered at the end of the year. I'm amazed at how often connections come up between homework passages and what we happen to be studying in class each week. At first I thought, "Oh! Lucky coincidence! ", but now I know that there are connections everywhere. My weekly packets include five vocabulary words, many from my master word list. These words really pop up all around us! Whatever you decide to do with homework, it's important to consider your school and your community. What can you handle? What can your students handle? By thinking about these questions, and the questions above, you can create a homework routine that works well for everyone. Several users are saying that they use them for small group instruction instead of homework--a great idea! Writing 36 unique texts that didn't all sound the same was quite a challenge, but was very rewarding throughout the year. My favorite part of this packet is the procedural text--caramel apple floats are totally delicious! Also included is a folktale, an informational text, and a persuasive text. These are so helpful for introducing different kinds of text early in the year. In October, I added the weekly open-ended responses to our routine. This was so important! This month's texts include an informational text about pumpkins, a narrative, an interview with a woolly bear caterpillar, and a text explaining idioms, adages, and puns. Can you guess which one the students liked best? November includes an informational text about Veterans Day, two fables, and a text about Pilgrims. 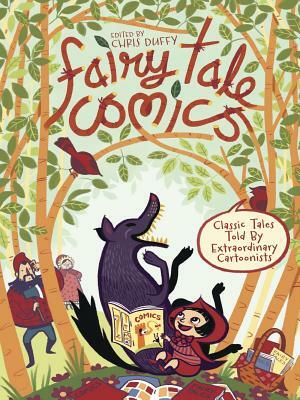 The fables were fun to read and discuss with students. In December, I added "Focus on Complex Text"--an additional lesson to go along with each passage. Students were fascinated by the text about Pearl Harbor, and also liked the script. This packet includes a poem, a procedural text about fairy bread, and two informational passages. 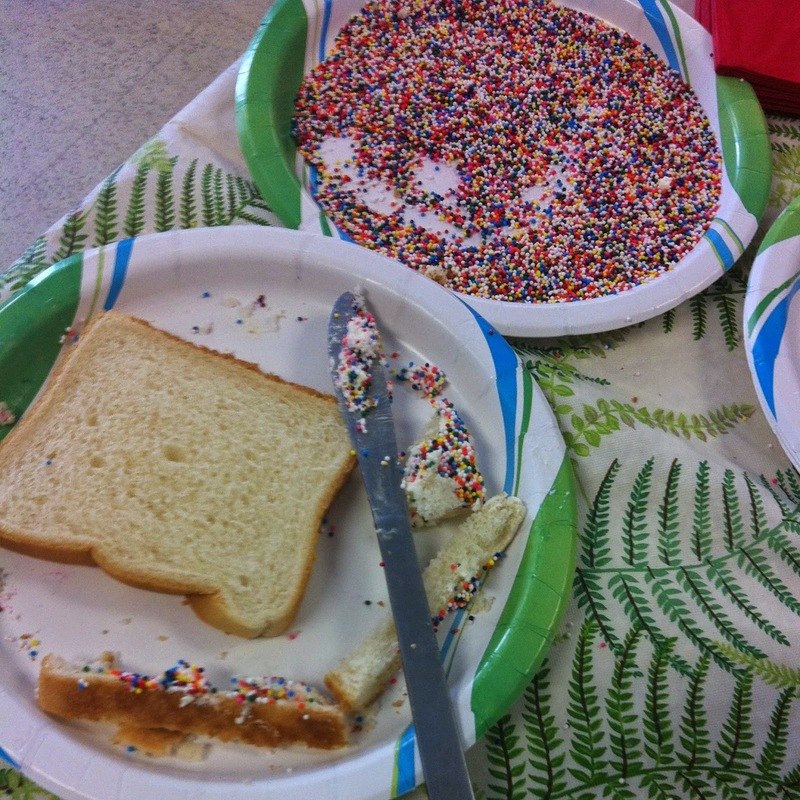 Of course the fairy bread was the biggest hit from this month! By March I had spring on the mind! The two frog poems in this packet were perfect to introduce our spring peeper investigation. Students also enjoyed debating the merits of Daylight Savings Time and learning about the vernal equinox. At some point I learned that many of my students were not familiar with great blue herons, which are common in our area. I used the interview format to write about great blue herons for this month's texts. Also included is an informational text, a poem, and an introduction to persuasive text. "We want more food texts!" the students said, so I wrote "Some More S'mores, Please!" and then we made the indoor s'mores in the classroom. How awesome! Later, while we read "Androcles and the Lion", we acted it out in class. Again, and again, and again, with different students taking different roles. Several of these assignments are available on Frolyc as well! Keep checking as I'll be adding more over the next few weeks. If students have iPads at home, they can read the texts and do some of the activities on the iPad. Of course, these texts would also work for in-class instruction with school iPads. -Remember Pearl Harbor (December) Note: This includes some more challenging questions than the paper homework activity, so it is listed as a grade 6. I have so much trouble pinning things down to a grade level because it really depends on the level of support that readers will get and the background knowledge they have!